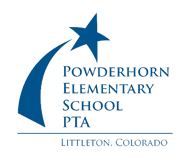 The Parent Teacher Association (PTA) at Powderhorn is very active with dozens of activities that support our kids, our school, and our community. The PTA is a non-profit organization of parents, educators, students, and community members active in our schools. Meetings are held in the Powderhorn Library from 6:30 -7:30pm unless otherwise noted.